A contemporary and sleek design 3 light ceiling pendant with brushed steel shades suspended on black cables. 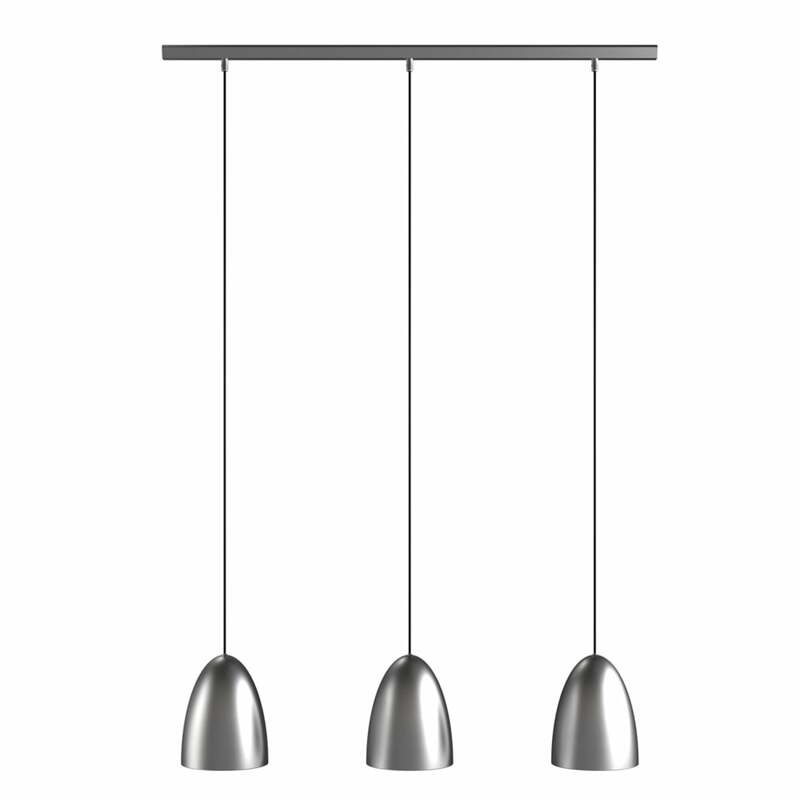 Each of the pendants can be shortened at the point of installation for use in rooms with lower ceilings, this would be great for lighting over a table or kitchen island in a modern setting. The light is also double insulated for safe use without need of an earth wire and is suitable for use on a dimmer switch providing the bulbs used are also dimmable.